If you walk by the memorial to the Grand Army of the Republic in Washington D.C on a warm, clear weekend, you'll almost certainly see a few kids on their skateboards, attempting grinds and kickflips, and generally just hanging around. Sometimes, when I have a few minutes to spare, I hang out in the area and take photos, just to see what I might get. 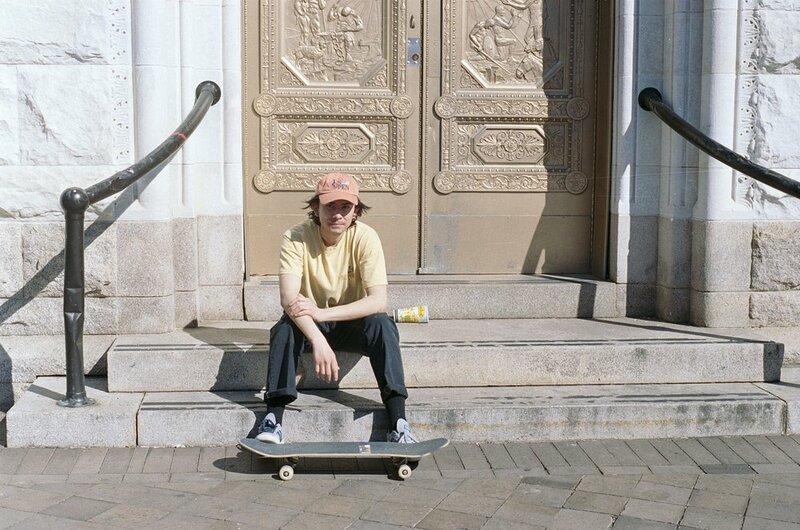 I'm only sharing four photos in this post, but I took most of a roll of 35mm while observing the skaters. These particular photos capture the most distinctive elements of the scene. The bright sunlight and hard shadows that add additional dynamism to shots of jumping and flipping. There's also photos of the skaters themselves. Which is to say that, in addition to practice capturing action, the 45 minutes or so I spent in the space were a useful exercise in breaking out of my comfort zone and approaching people for photos and portraits. I have two in this set. The first is of our first skater, triumphant after landing a trick. And our second is of another skater, not seen in any of the above photos, just resting while the others try their luck with the pavement. To get a larger view of any of the photos here, just give them a click.